The SipaBoards Balance is floating harmony with nature. It comes outfitted with an anchor and dedicated hook rings so you can stay put. 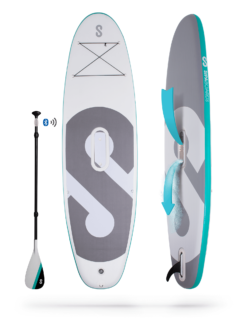 Ample padding on the board’s surface means you can stretch out in peace and comfort. Take this board to your favorite peaceful spot and enjoy a moment of serenity.